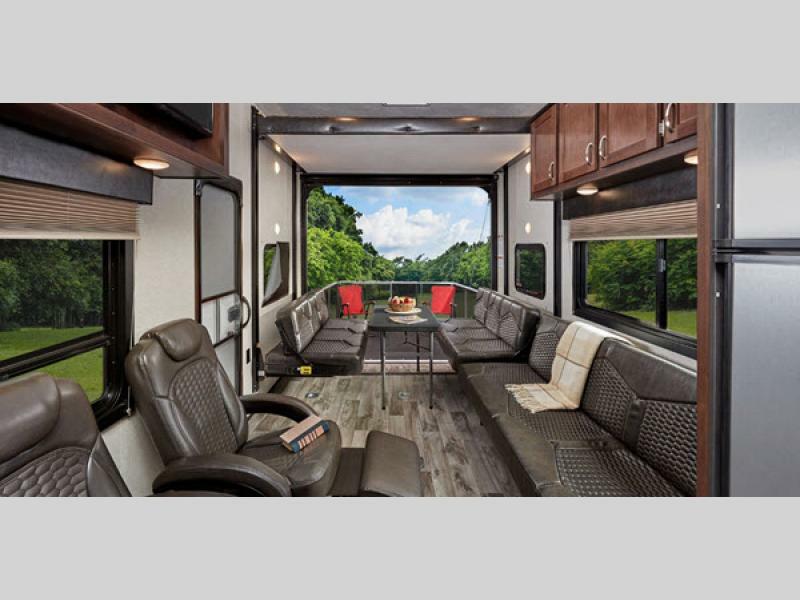 In the market for a toy hauler that offers you comfort wherever you are? 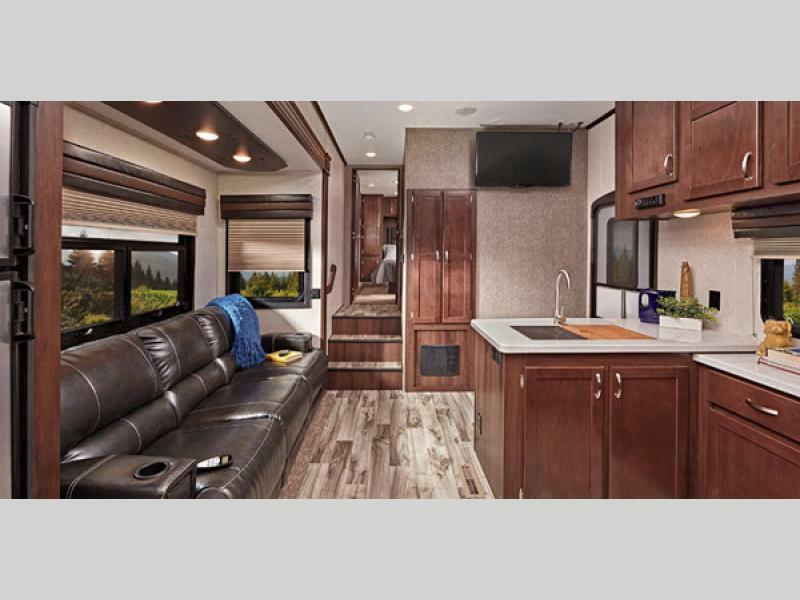 The luxurious Jayco Talon toy hauler promises to make you feel right at home regardless of where the road might take you. It offers everything you need and then some to enjoy yourself wherever you are. And, it has TONS of space for your toys to boot! Learn more in our Jayco Talon toy hauler review. Perhaps the most important part of a toy hauler is the ramp and cargo space. It is, after all, likely the main reason you’re buying a toy hauler. Talon takes this area to the next level with features you might not think are necessary until you actually use them. Take, for example, the step light by the garage door. It’s a tiny feature that makes a big difference in how you experience the RV. Talon is chock full of these tiny surprises. The inside of every talon floorpan is set apart from the competition because of the many quality features it offers. LED Accent Lights Above Kitchen Cabinets – attractive and calming! This impressive package offers you solid surface countertops, a 6-point auto leveling system, and frameless thermal pane windows. It takes your camping and set up to the next level. If you’re interested in learning more about our selection of Jayco Talon toy hauler fifth wheels for sale, contact us. We can answer any questions you have and make sure you’ve got the information needed to make the best decisions for your needs. We can also help you plan your next RV vacation and direct you toward some of our favorite campgrounds.